NORTHERN – NIGERIA. 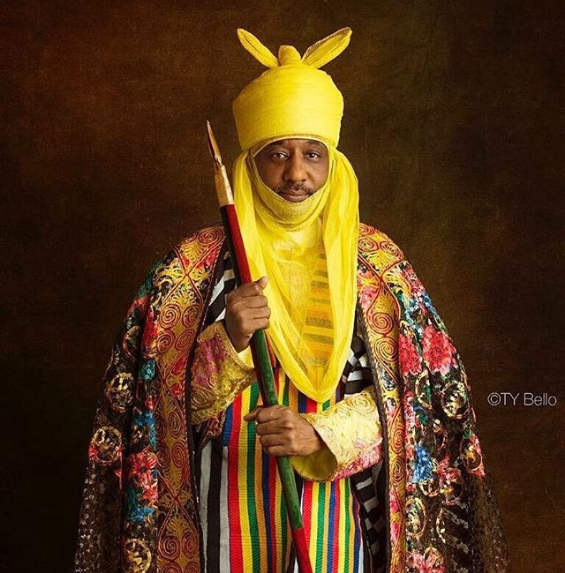 The Emir of Kano, Alhaji Muhammadu Sanusi, spent N37 million on telephone calls in three years while two bullet-proof cars were purchased for him at the cost of N142.8 million. Also, the sum of N152.6 million was spent to furnish the palace shortly after Sanusi ascended the throne, after the death of former emir, Alhaji Ado Bayero. These were disclosed by the Kano Emirate Council, on Monday, while denying the allegation that the emir inherited N4 billion from his predecessor, saying, instead, he inherited N1.8 billion. Speaking on behalf of the council, the Walin Kano, Alhaji Mahe Bashir, also confirmed that two Rolls Royce cars were purchased for the emir by his friends. According to him, on the issue of N37 million spent on phone calls, “it is true that the sum of N37,054,196.06 was paid to Airtel due to the fact that the emir has been identified with only one local mobile phone which he uses within and outside the country. On the purchase of the N142.8 million for the bullet-proof cars, he said the purchase was based on the advice and approval of the state government. “This was as a result of the attack on the late Emir of Kano, Alhaji Ado Bayero, on his way back from Murtala Muhammed Mosque to the palace. “The sum of N108 million was paid to the children of the late emir by the council, in respect of the late emir’s personal cars inherited by the present emir. The cars now form part of the emirate council’s fleet in the palace,” he said. The Walin Kano also said about N152 million was spent to procure furniture for the palace because those used by the late emir were removed. “The sum of N152,627,723 was paid to Dabo Gate for the procurement of furniture for the palace. After the demise of the emir, all his belongings, including the furniture, were removed and given to his children in accordance with Islamic injunction,” he said. He, however, dismissed allegations that the council spent N15,458,660 on travels, insisting that the amount was actually used for the construction and renovation of Fadancin Dare wing of the palace. The Walin Kano, however, denied the allegations that the council spents billions of naira on chartered flight, adding that the council only chartered flight twice for the emir’s movement to Sokoto and Benin City. According to him, “the council chartered an air flight twice for His Highness for the following trips: In September 2014 to Sokoto, when the emir paid a traditional homage (Mubaya’a) to the Sultan of Sokoto after his turbaning as Emir of Kano and the council spent N4,651,000. He added that the Emirate Council received N1,727,938, 660.42 as grants from the state government between August 30, 2014 and March 1, 2017, “over and above the alleged figure of N1,672,953,660..
“The Emirate Council should have received almost triple of this amount, in accordance with the law establishing Emirate Council fund of 2004,” he said.